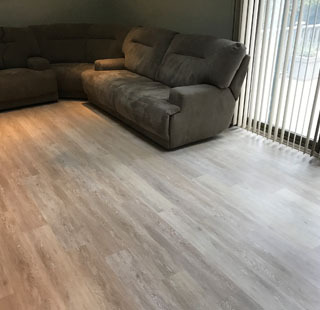 Offering Sales, Service, Installation & Refinishing of Hardwood, Laminate & Solid Wood Flooring in Bay Shore, Brookhaven, Selden, Smithtown, Stony Brook & Suffolk County, NY! First Class Wood Flooring has satisfied thousands of customers by providing top quality flooring since 1998. 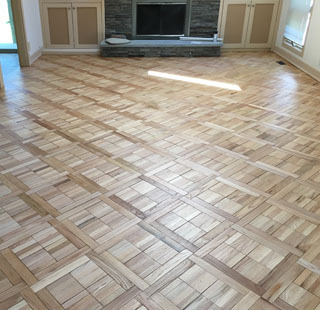 We can bring the natural beauty and durability of wood floors to your home or business virtually anywhere throughout Long Island. 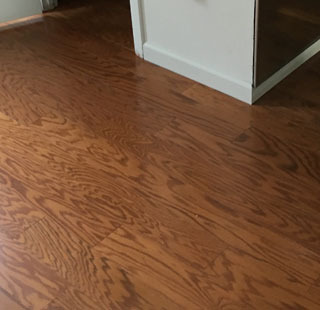 Whether you live in Brookhaven, Selden, Smithtown, Stony Brook or elsewhere in Suffolk or Nassau County, you can enjoy new hardwood flooring with expert installation. 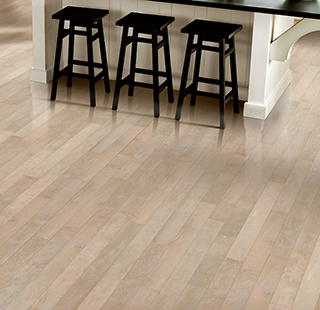 We are also certified installers of laminate and engineered hardwoods. Attractive flooring says a lot about your home or business. 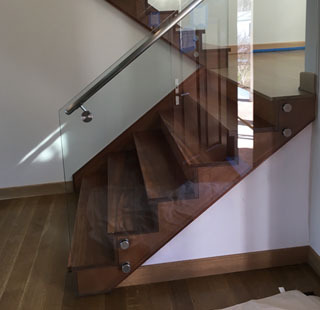 Our engineered hardwood flooring is available in almost any type of hardwood appearance, including walnut, Brazilian teak, maple, oak, and more. 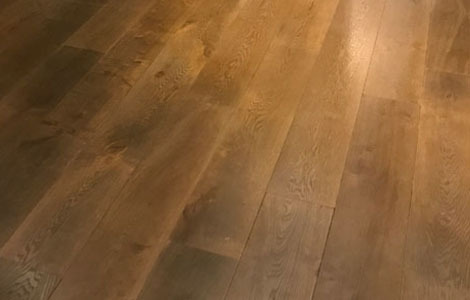 This gives this type of flooring all the natural characteristics of the original wood species and is designed to provide greater stability, particularly where moisture or heat pose problems for solid hardwood floors. 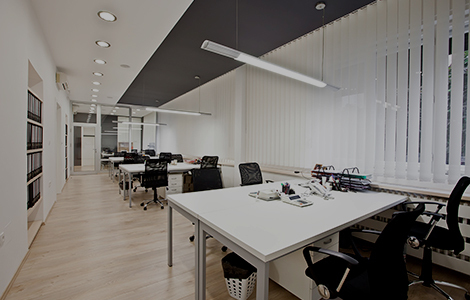 Consider our durable and attractive commercial flooring options for your office or commercial establishment. We also install flooring that is ideal for dance studios, gymnasiums, and other business properties. First Class Wood Flooring also provides fine decorative borders for your new wood floors. 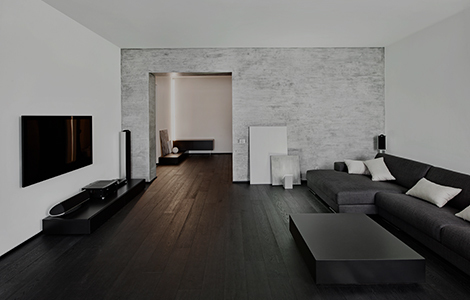 Or opt for durable and affordable laminate flooring with a huge variety of colors and options. 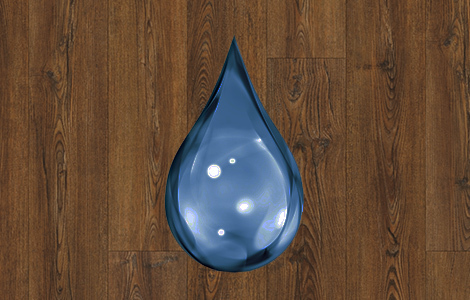 In addition to hardwood flooring installation, we provide sanding, refinishing, and repairs of existing wood floors. and other flooring types. 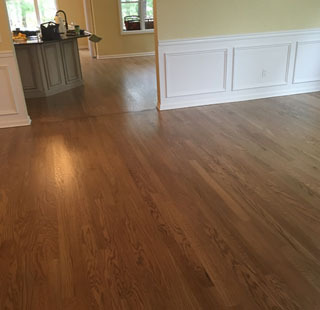 We are licensed and insured and have been installing and refinished hardwood throughout Long Island for decades. We pride ourselves in quality work and excellent service. Contact us today for a free estimate. First Class Wood Flooring offers you nationally-known brands that you know to be of high quality, and our selection is extensive. We offer selections of hardwood, laminate, luxury vinyl flooring, and more, all of exceptional quality, all affordable. No matter what your specific flooring needs, you can rest assured knowing First Class Wood Flooring will have exactly what you want at prices you can afford. Contact our professionals today for more information on how you can have the floors of your dreams in your home quickly and efficiently. Crew showed up on time and was very professional.